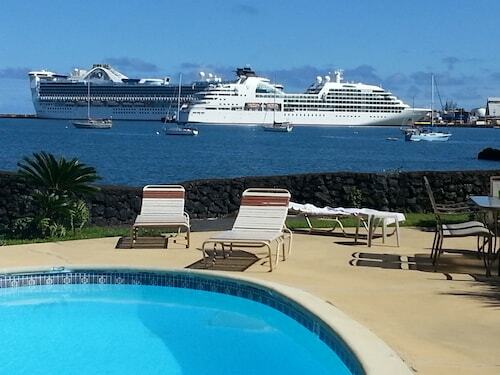 Great location and staff was amazing and very helpful with booking activities. The hotel was fine. It was quiet and clean. My big complaint was the towels. They we almost as thin as a paper towel. Also the pool was not open at night and parking was a problem. The hotel was clean. They had an awesome restaurant on site. The valets went above and beyond their jobs and were extremely friendly. Nice place to stay. This is an older establishment but always clean. Staff is very friendly. Nothing fancy, but everything you need. If you want more go somewhere else and pay the price. Beautiful location on the beach! Wish it had air conditioning. I liked that the front desk was 24 hours. Staff was friendly and helpful. The room was nice. I liked the reminder call an hour before check out. The room was a little bright that it was hard to sleep though. The accommodations were ok but either run a night club or hotel. The two don’t mix. Amazing view, friendly staff, lots of smiles and overall heaven on earth. Spend your next holiday vacation in “The Islands of Aloha” with a trek across the Pacific Ocean to the Hawaiian archipelago. Snorkeling. Surfing. Hiking. Hula. Pig roasts. Luaus. Mai tais. That list is just a taste of what this magical land has in store for you. 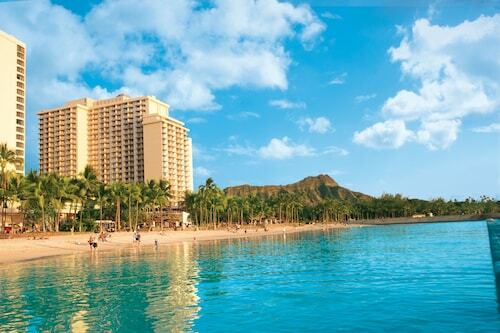 Reserve a cheap flight and hotel in Hawaii today, and set off for paradise tomorrow. 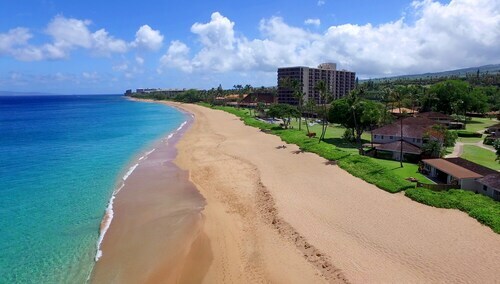 Start your Hawaiian journey on Maui. 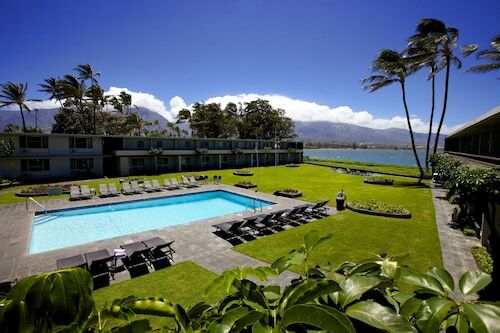 Leave your bags in the hotel and then stretch your legs during a guided hike through Haleakala National Park. You can climb to the summit of the ancient volcano and take in the best uninterrupted, panoramic views. Come back down to sea level—or below—and embark on a snorkeling expedition to Molokini, a partially submerged volcano. See if you can spot and then pronounce the state fish of Hawaii: Humuhumunukunukuapua’a. 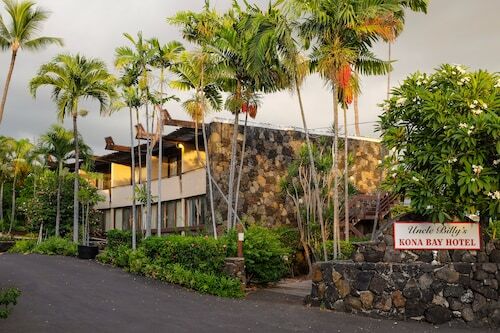 Want to visit Don Ho’s old stomping grounds? 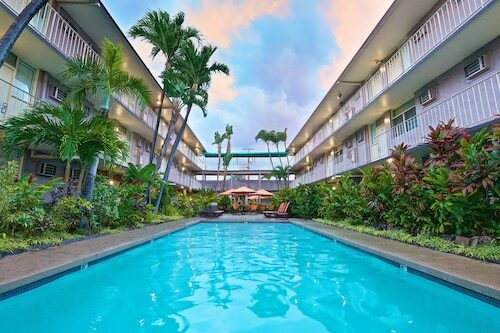 Head east from Maui to Oahu and relax at a Hawaiian resort in the beachfront community of Waikiki. You can learn to surf in the friendly waters of Canoes, but if you want some juice with your waves, head 31 miles north across the island to the North Shore. Witness and feel the raw power of the ocean at spots like Pipeline, Waimea Bay, and Sunset Beach. If traditional Hawaiian culture is what you’re looking for, you’re in luck, as the North Shore is home to the Polynesian Cultural Center. Admire the exhibits and watch “Ha: Breath of Life,” a multicultural evening show with traditional songs and dances from Polynesia. Steer clear of those fire-eating dancers, though; don’t you want your eyebrows? 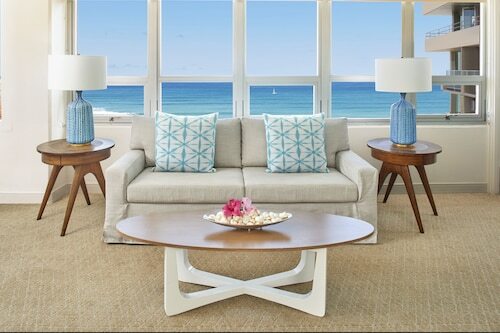 The ivory-white sand, crystal-clear water, and Aloha Spirit--what more could you ask for in a vacation? 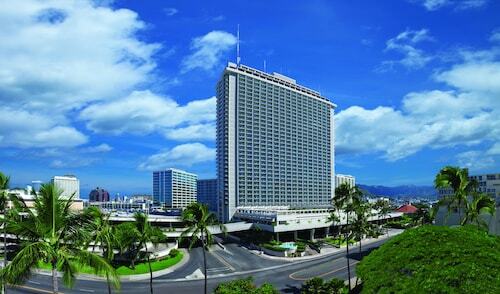 Browse Travelocity’s selection of Hawaii hotels and save up to $537 when you book a hotel and flight together. Get those feet sandy now! How Much is a Hotel Room in Hawaii? 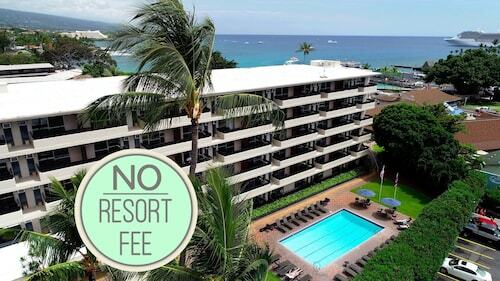 Hotels in Hawaii start at C$115 per night. Prices and availability subject to change. Additional terms may apply. 2 days ago by A verified traveller from Glendora, Ca. Very convenient on site access to stores and activites. Good beach access too. 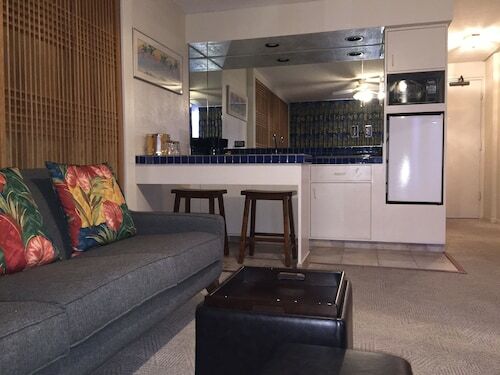 Our room was nice overall, great view, but did have patched walls at the entry and the fridge didnt work initially. The front desk did have the fridge replaced though..